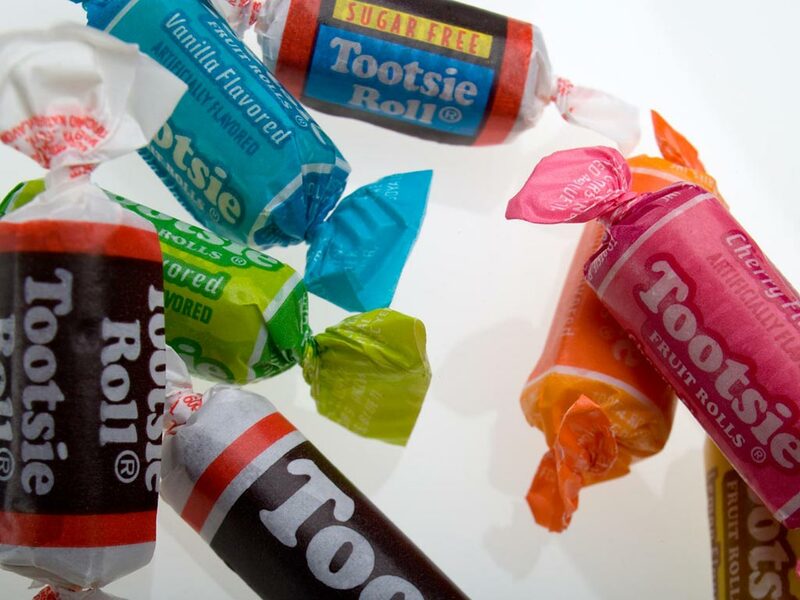 Vanilla Tootsie Roll Frooties are the best. I’m not sure who is more excited about Valentine’s Day — sellers of chocolates, cards, and flowers, or my children. My kids have been preparing their Valentine’s cards for over a week. Our 7-year-old had her cards picked out a month ago, and our 9-year-old made adorable little airplanes out of Smarties, Life-Savers, and Big Red gum. Yesterday, my 4-year-old son brought home an entire grocery bag of candy from his preschool Valentine’s party. Valentine’s Day is a big deal among the grade school set. This makes perfect sense. They haven’t yet experienced the bitter reality of romance: the girl you like likes another guy, but he likes this other girl, and the girl who likes you isn’t all that likeable. The person you thought was “the one” turns out to be a zero. Meanwhile, no one else will give you a number at all. Elementary school kids haven’t experienced this dark side of romance yet, so Valentine’s Day seems like just one more excuse for candy, a quick top-off of sugar before the Easter basket bonanza. Seventeen years ago, I’d had enough of romance. After yet another failed attempt to attract the attention of a particular girl, I vowed not to pursue any female who was anything less than 100% as interested in me as I was in her. This would be my new rule: no more risking my heart in the name of love. Shortly after making this vow, I met a really cute girl at a college Halloween dance. I was dressed as a Rocky Horror Picture Show fan (which I was), while she was dressed as a college freshman. We struck up a conversation over our mutual love for Tootsie Roll Frooties, but she had a boyfriend still in high school. Per my vow, I promised myself to think of her only as a friend, nothing more. A couple of weeks later, I met her outside the post office. “Did you get any mail?” I asked. “Yes,” she said. “From my ex-boyfriend.” I know this sounds corny, but our eyes met, and I felt time slow to a stop. That moment lasted forever. Today, our kids will be bringing home dozens of uncynical, hopelessly sincere Valentine’s cards. I wish I could spare them the long journey from grade school optimism, through the heartbreak of false romance, to real love, but it’s a road they have to travel themselves. I know that, without the disappointment and frustration I experienced, I would not appreciate the love I now have. This entry was posted in Culture, Society, and Politics and tagged Frooties, love, valentine's day by mhick255. Bookmark the permalink.